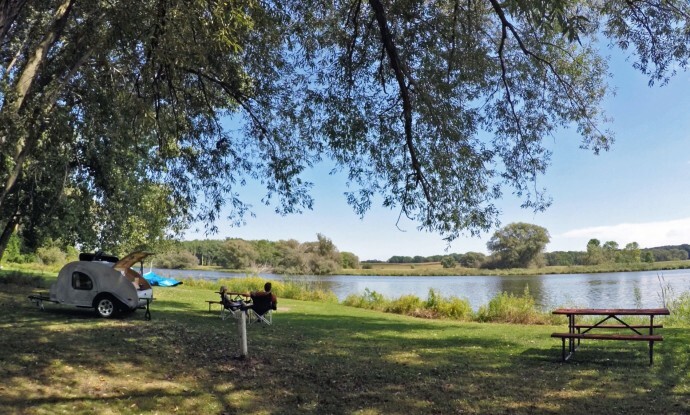 We are truly a campground that centers on a peaceful environment for our campers. 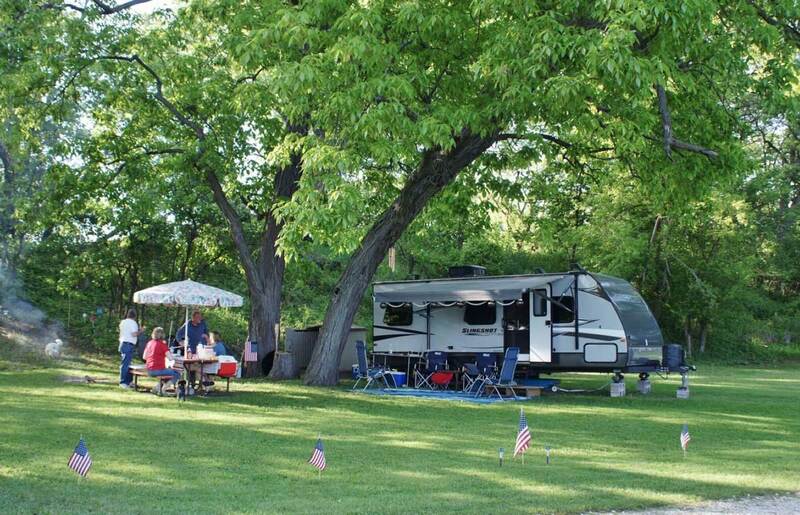 The Playful Goose Campground is located on the Rock River and offers 165 acres of fun and relaxation. The Playful Goose is nearby the Horicon Marsh. Here you can observe its famous population of hundreds of thousands of Canada geese in the spring and the fall. The Rock River is also a great place to see rare herons and egrets. With a new family of eagles growing up here, you have a unique opportunity to see these majestic birds as they glide through the beautiful landscape. This varied congregation of birds began with the introduction of the pelican to this region, which later became large flocks. Soon, the geese, herons, egrets and eagles arrived. The combination of these amazing birds and the vast, unobstructed natural areas of the Rock River and Horicon Marsh feels like a step back in time — a time before urbanization and man-made busyness, the way things used to be. 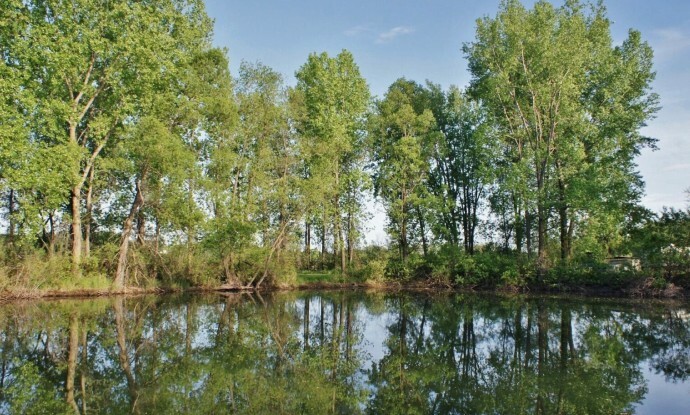 Horicon Marsh, Rock River and their inhabitants are must-sees when you visit the Playful Goose Campground. We are a pet-friendly campground! Pool opens Friday, May 24th, at 5:00 pm. Why we're different than your typical campground. We don’t try to entertain our guests with waterpark rides, planned activities, or other outlandish ways to entertain the children while the parents have time alone. We offer activities for the whole family to share in. 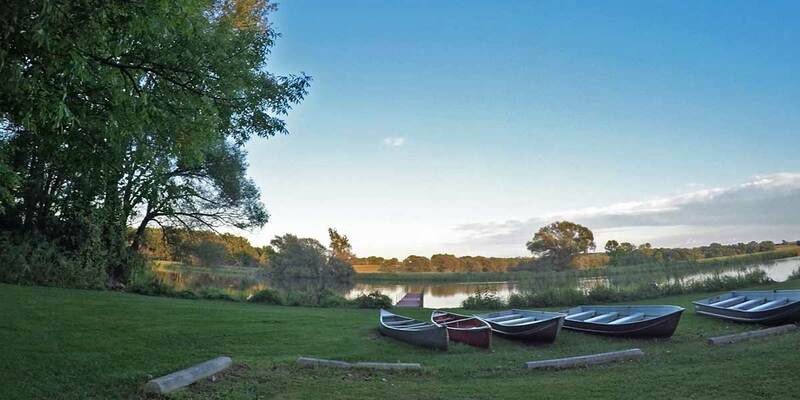 The Swimming pool, game-room, shuffleboard, horseshoes, 2 playgrounds, fishing along the shore, and taking a canoe ride are the activities a family can do together. But the most rewarding experience here is the vast amount of wildlife that abound. This property is a wildlife sanctuary and all the deer and turkey know this. We have over 60 deer and 40 turkey, and thousands of different birds from humming birds to egrets and blue herons. Many campers are amazed to see these animals up close. Often it is the first hand exposure to nature and wildlife in it’s natural state they experience that brings them back. Campers are first attracted to our spacious sites… like having their own yard to stretch-out, hang a hammock, play Frisbee with the dog, or cook-out on the grill… all without bumping into their neighbor. Our plan was to give plenty of space on a site and never “sardine” campers close together. The camp sites are some of the largest of any campgrounds we have seen. The staff is always there to answer any questions or help out to make your experience a good one. 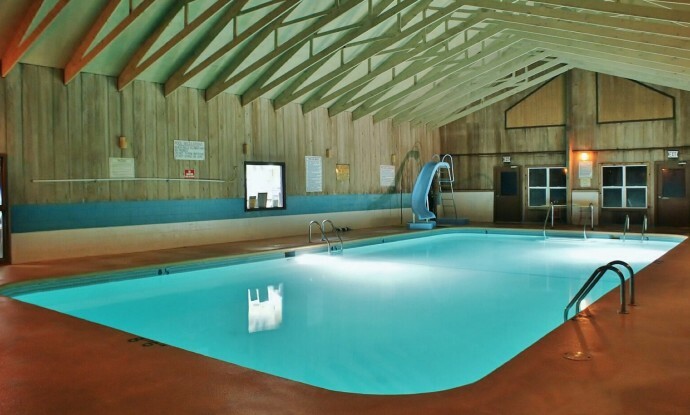 The Playful Goose offers many amenities including an indoor swimming pool which is perfect for Wisconsin’s inclement weather! 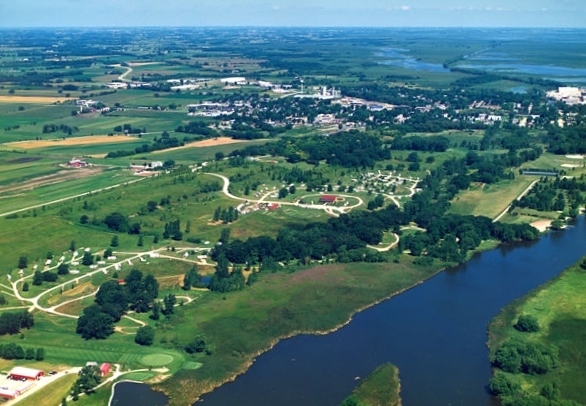 There’s endless hiking trails as well as the Rock River frontage and campsites along the riverfront. We have enjoyed the large beautiful wooded sites and all the nature. All have commented on the clean bathrooms and showers and the great indoor pool!